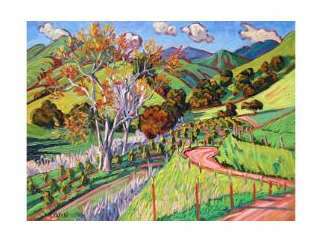 "Here and There" Ken Christensen's original oils inspired by California, New Mexico and France. Artist reception 6-9 p.m., March 1. Christensen is a landscape painter with influences filtered down from the French Impressionists and Fauves. He paints with the vision, color, and verve of such painters as Van Gogh, Vlaminck, Marquet and Derain and with the American perspective of Hopper and Benton. Christensen is the founder of a bold group of painters, The New Fauves, committed to propagating the style of the great French Fauve painters.